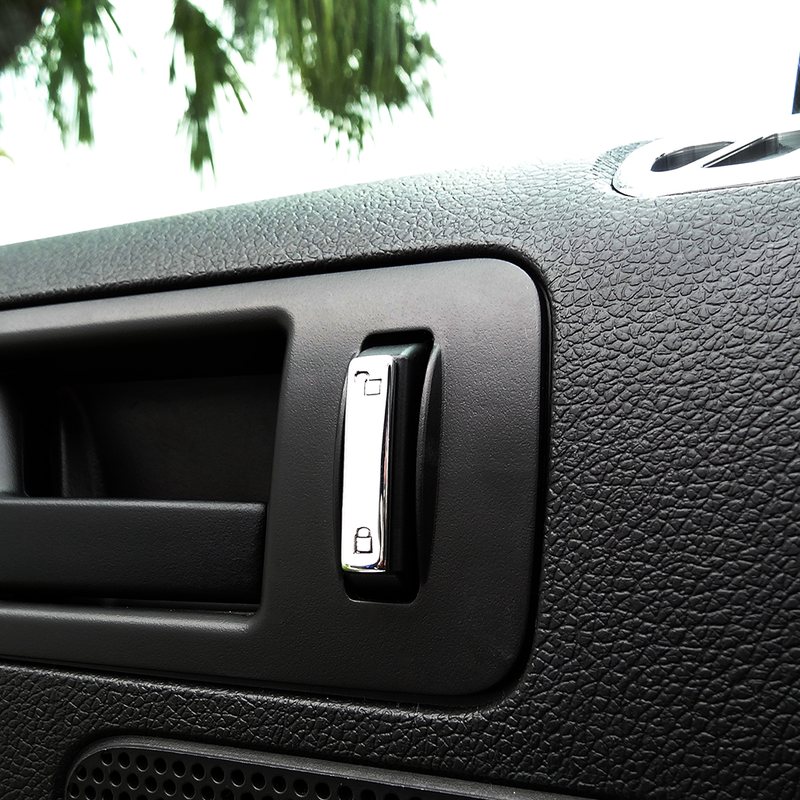 Dress up the exterior of your boring plastic window lock and unlock switches with UPR's Billet Lock Switch Covers with custom unlock and lock symbols engraved. Designed to cover the factory door lock and unlock switch. 2005 2006 2007 2008 2009 2010 2011 2012 2013 V6 GT GT500 V8 V6 Mustang Shelby Steeda Roush & Saleen Vehicles. No one else can stack up to the bold clean styling of our aftermarket Billet dress ups, Street Strip & Racing Suspension & Performance Parts for your late model American Muscle Car!